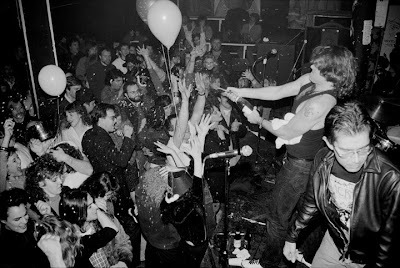 The Jackals welcome in 1989 at Satyricon. -Photo by and courtesy of Thomas Robinson, Historic Photo Archive. 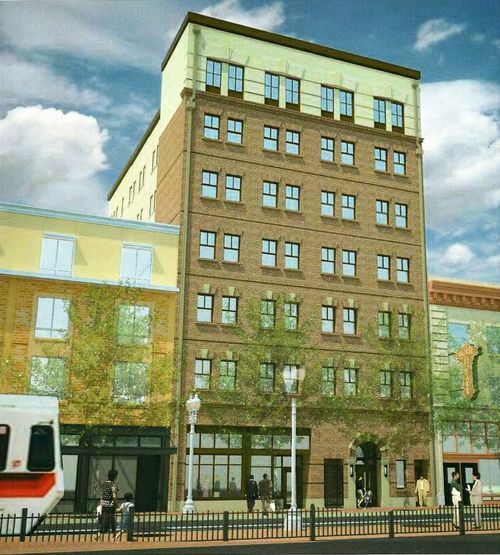 Soon the Hotel West, better known as the Satyricon and the Kiernan building, aka the Dirty Duck, will be demolished. 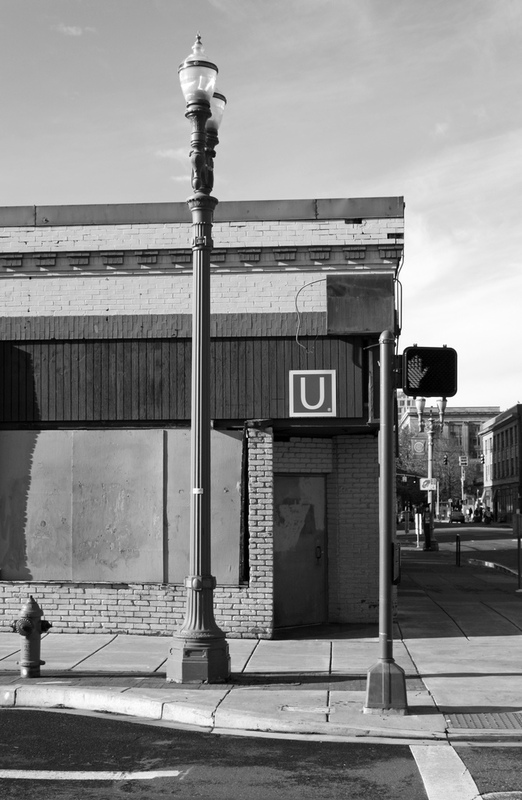 The loss of Satyricon, a Portland equivalent to the Cavern Club, exposes the weakness of Portland's ability to identify and protect its historic resources. Too often a structure's historic value is determined by the context of when it was built, not its significance acquired over time. 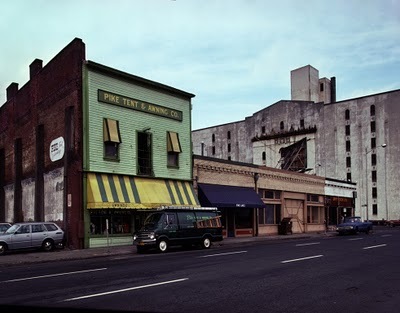 A century from now, looking back at the 1980s, Portlanders will likely still have the Portland Building, a structure of architectural significance but of dubious communal connection, but not Satyricon. 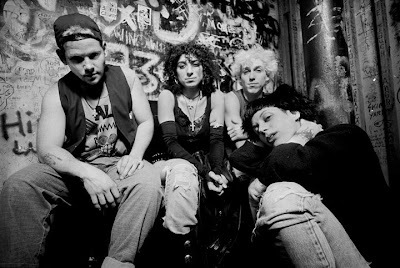 NW 6th from Couch, May 1985. 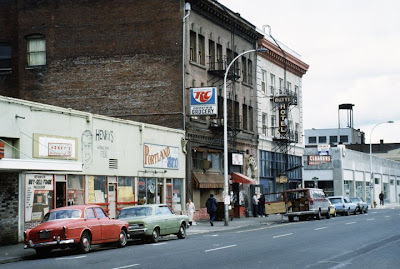 Henry's- Working Man's Friend (later the Sav-Mor Grub, blown up along with its neighbor to the north in 1989) Portland Tattoo, Demetri's Grocery, the Hotel West / Satyricon (arched doorway) and the Butte Hotel. 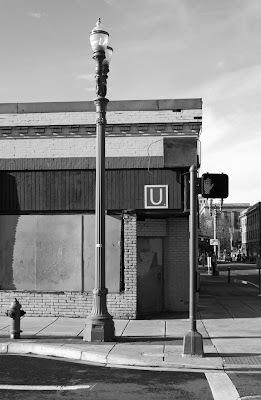 The Butte Hotel sign still hangs in place, now hidden by ubiquitous street trees. -Photo by and courtesy of Thomas Robinson, Historic Photo Archive. To those who view streetscapes as a form of narrative, Portland will be a poorer place without Satyricon, the Dirty Duck or the Galaxy restaurant at SE 9th and Burnside. Each will be replaced by structures in the approved contemporary du jour, devoid of continuity with their surroundings. 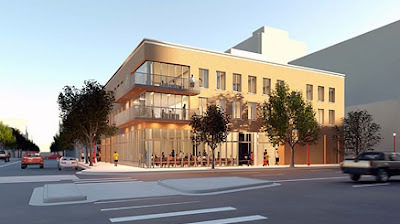 A proposed replacement for the Hotel West / Satyricon. Described in a recent Portland Architecture piece by Fred Leeson, it recreated the general look of its predecessor on the first floor. It was not to be. In the case of the Hotel West, there was a significant effort to echo and honor the site's history architecturally by the Macdonald Center in their proposed design for the building's replacement. The plan was found unacceptable by the Portland Design Commission, preferring a slate scraped clean of prior reference for new development. Commissioner David Keltner noted that new buildings can be compatible with, yet clearly differentiated from older neighbors, if not, "You don't have a clear understanding of what's what, and what is historical". This philosophy, with its built in preference for contemporary forms, risks an antiseptic downtown; a pleasant enough tree-lined doldrum with the spontaneity and depth of a gated community. It dilutes the uniqueness of individual streetscapes in favor of accepted standards bereft of prior local context. Nowhere is this better illustrated, to almost comic effect, than by the recent structure beneath the west end of the Burnside Bridge. Located a few yards away from where First, Ankeny and Vine intersected at the Skidmore Fountain, the core of Portland's original cast-iron fronted downtown, it sits like a Design Within Reach catalog backdrop in opposition to the area's historic character. It was a squandered opportunity to utilize cast-iron fixtures already owned by the city that languish in storage. Last chance to see. 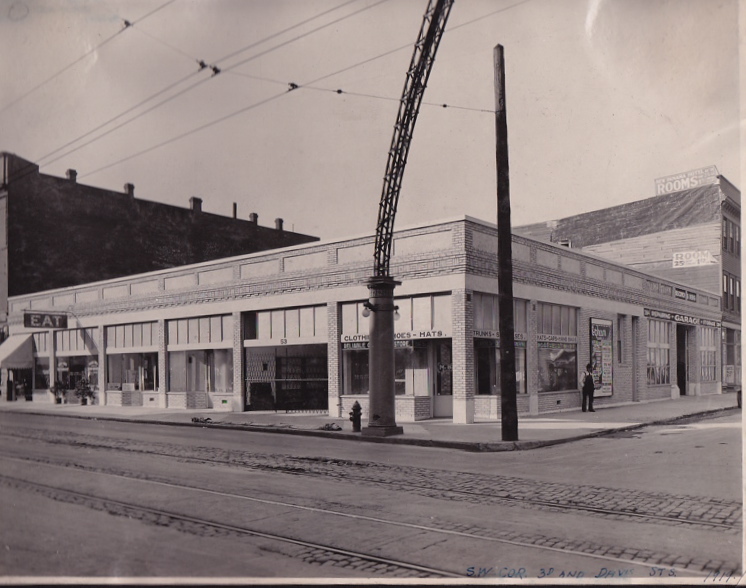 The Kiernan building (aka the Dirty Duck) at NW Third and Glisan. -Dan Haneckow photo. 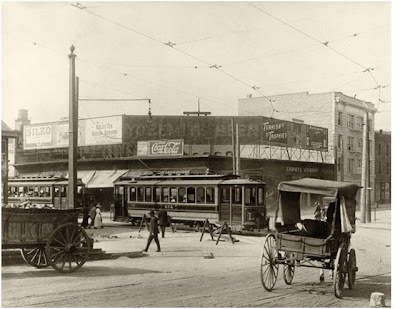 The intersection of Third and Glisan, prior to the 1916 construction of the Kiernan building. The earlier structure on the site supported an impressive array of billboards. The Shasta Hotel and the future home to the Blanchet House are to the right. Until 1912 the original Steel Bridge descended to street level on Third, just to the right of the frame. -Christopher Wilson collection, courtesy of John Klatt, Old Oregon Photos. The Kiernan building (and Pike Tent and Awning) looking northwest on 3rd in October 1980. Intentionally or not, its low profile echoed that of the prior building on the site. Despite a long, varied history involving numerous communities (see the post Ducking the Questions) it was found by the City Council not to be historic enough for preservation. -Photo by and courtesy of Thomas Robinson, Historic Photo Archive. The Blanchet House's original plan for the Kiernan building site. Just as the Design Commission rejected the Macdonald Center's plans for the Hotel West / Satyricon on design grounds, the Blanchet House's plan was turned by by Historic Landmark Commission as out of character with the neighborhood. The design for the Blanchet House that was approved by the Historic Landmarks Commission. 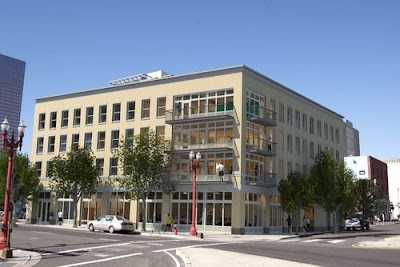 While not particularly out of character with its historic surroundings, it is a missed chance to incorporate the original structure, or to have traded out a nearby city owned parking lot and thus live up to Portland's sustainability rhetoric. Still, it avoids the problems of other compromises for the sake of compatibility, such as the base of the Ladd Tower on the Park Blocks, more appropriate to Bridgeport Village than downtown Portland. The loss of Satyricon and the Kiernan building illustrate the need for a new dialog about what is historic in Portland, not just with an eye to the past, but to what will be held significant in the future. This is especially true in regards to sites pertaining to local culture and communities not traditionally represented by landmarks. In the case of Satyricon, its importance, musically and as a representation of its era, was likely obscured by the fact that it was too recent to be considered history. It is too late to save, but we can learn from its demise. The look and feel of a city does not just happen. Do the preferences of the Design Commission reflect that of the public's? 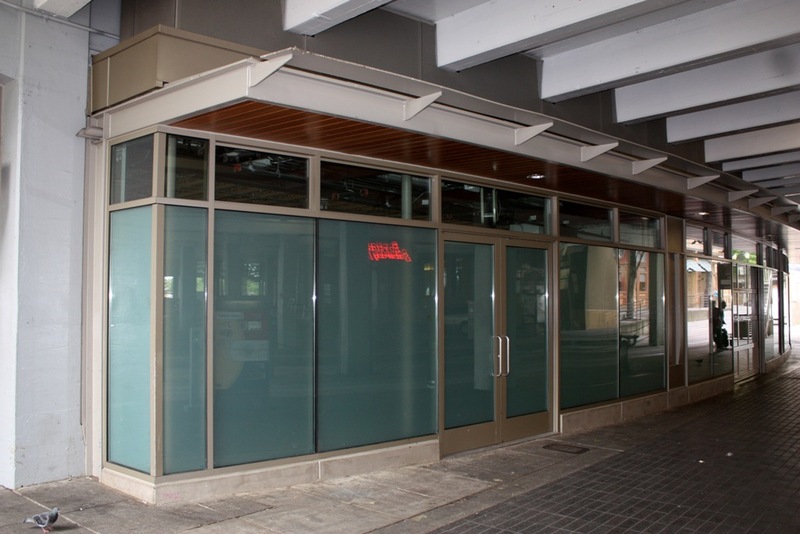 Above, the planned replacement for the Galaxy restaurant at SE 9th and Burnside. Low slung commercial / light industrial buildings like the Kiernan began to appear in what had been known as the North End during the early decades of the 20th century. This building, along the Great Light Way, at Third and Davis still exists, the former home of the Kida Company. Today although much modernized, it could clean up quite nicely. -Charles Ertz photo, courtesy of Gary Smith, via Marylou Colver. 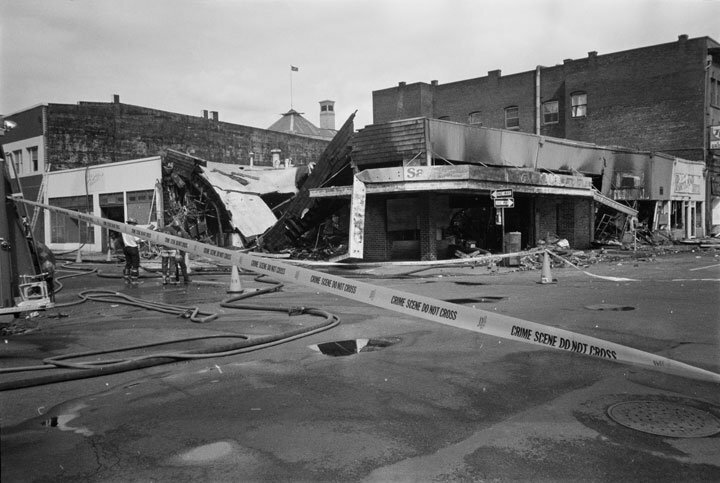 NW Couch and 6th, the aftermath of the August 24 1989 bombing of Sav-Mor Grub, still an unsolved mystery. The Hotel West / Satyricon is to the far right. 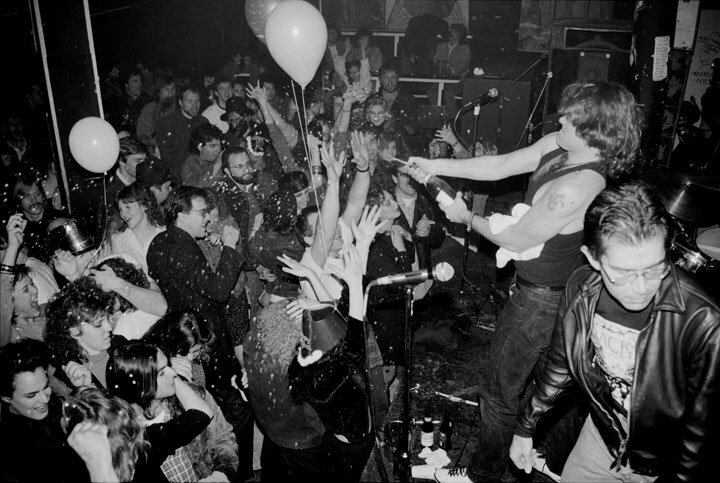 M99 at Satyricon, April 15 1991. Thanks to Christopher Wilson, John Klatt, Gary Smith, Marylou Colver and Thomas Robinson!